The power supply unit could corrode and overheat. Zebra Technologies Corporation has recalled its power supply unit (PSU) for Zebra thermal industrial printers. The PSUs can degrade and corrode over time when exposed to moisture. As a result the PSUs can overheat and could cause a fire. PSUs with date codes in ranges 1039XX - 1052XX and 1101XX - 1152XX are affected. 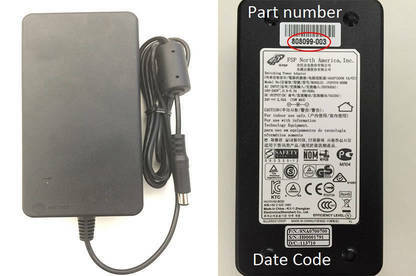 The date code, part number, Zebra logo or FSP North America logo are printed on the power supply. Immediately stop using the recalled PSUs and contact Zebra for a free replacement power supply. For more information, email Zebra Technologies Corporation: PSUrecall@zebra.com.